When it comes to choosing a deck stain colour nothing is more important than making sure it matches the colour fo your home. Choosing deck stain colours for white or beige houses can feel tricky as the light appearance of the home can make the deck feel more vibrant and colorful than it would with another colour of home. Use our guide below to find the right colour for your deck. 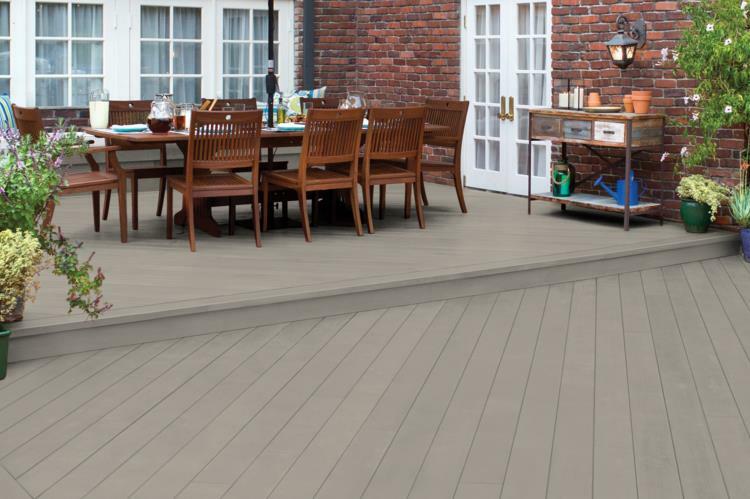 If you wish to showcase the fine wood tones in the deck, you'll want to consider the transparent beauty of Clear On Cedar, Clear On Redwood, or Clear On Pressure Treated Wood. These stains help seal and protect the underlying surface against the damaging impacts of sun, rain, snow, and heavy foot traffic without obscuring the rich natural grains of the wood in the deck. They offer the perfect solution for many homeowners seeking to complement beige or white colored residential exteriors. A gorgeous colour like Cape Cod Gray can really make your home look gorgeous. Beautiful gray stain colours like this draw attention towards the deck in a beige home, making it pop. If you love entertaining outdoors this gray stain will contribute to a marginally lower temperature on the surface due to the stain's sunlight reflective properties. This vibrant reddish semi-solid wood stain lends a romantic Southwestern aura to the decks of beige houses. Jatoba offers a striking first impression looks vibrant alongside a white home. This is a great colour choice for anyone who enjoy outdoor entertaining on a frequent basis. If you want to keep attention focused on the fine grains in the wood of the deck, then choosing smoke blue semi-transparent stain offers one way to highlight the deck without detracting from the beauty of the surrounding beige or white residential exterior. The subdued tones of Smoke Blue also make it desirable for refurbishing some properties with slightly weathered or aging deck components. You'll reinvigorate the appearance of the wood without losing the ability to appreciate the rich textures of individual board surfaces. 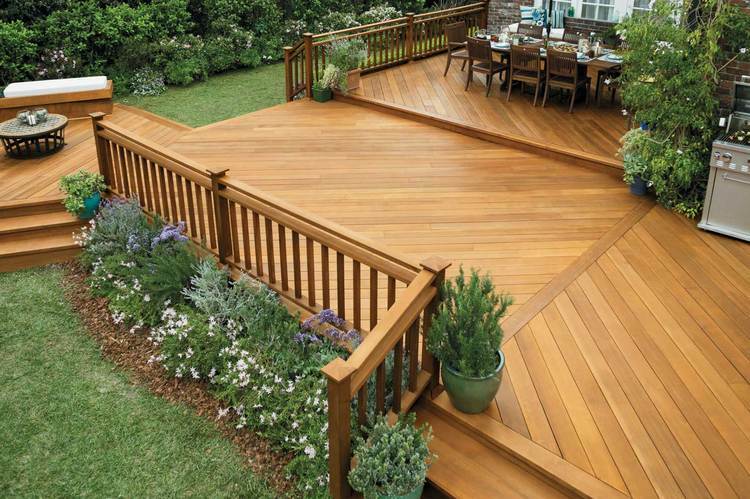 The beauty of an attractively stained deck adds a lot to a home. By choosing the right colour and taking the time to decorate your home's deck in a way that showcases its best qualities, you'll also feel a great sense of personal accomplishment.